Do you sell your résumé packages for at least $500? Are you having trouble converting prospects into paying customers? This 65-page special report gives you a seven-step system for targeting your ideal clients and conducting strategy sessions to get them to sign on! 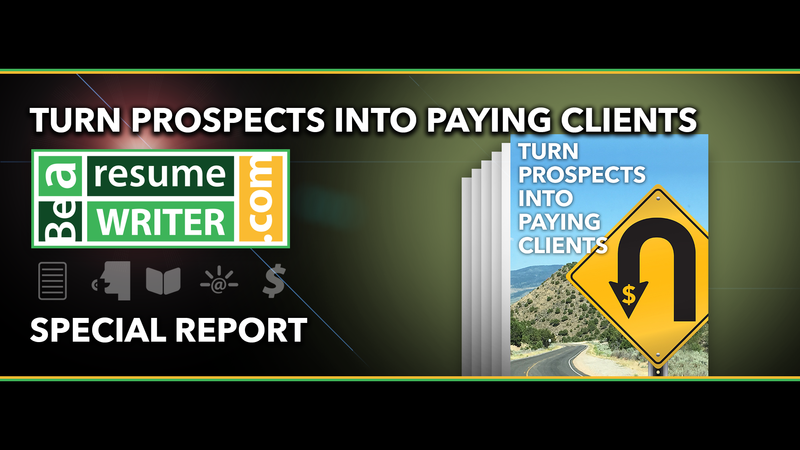 Check out our Turn Prospects Into Paying Clients Special Report in our online store. LinkedIn has recently released some new tools for jobseekers, including the ability to signal to recruiters and hiring managers that you’re open to opportunities for a list of target companies you choose and a tool that helps job candidates easily apply for positions advertised on LinkedIn (1-Click Apply). 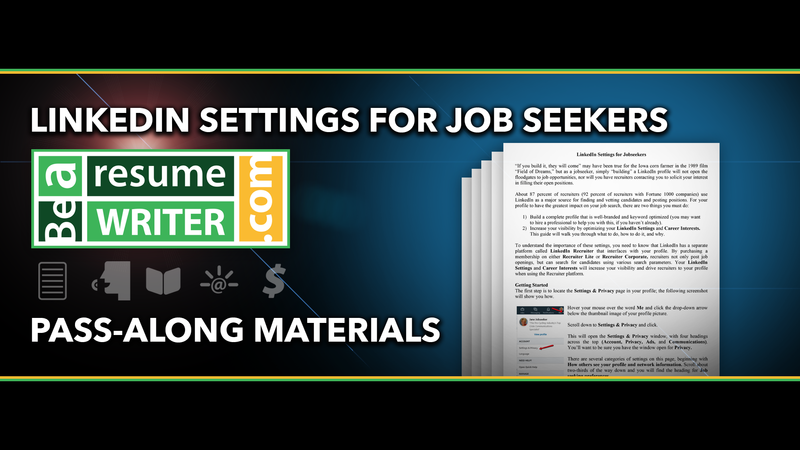 If you’re looking for a ready-to-go guided you can use to educated your clients about using these settings (or if you just want o bring yourself up to speed on these changes), check out our LinkedIn for Jobseekers Pass-Along Materials Content in our online store. Live video connects you with your audience in a way that text, images, and recorded video cant. This 22-page special report will help you get started with live video — or step up your game. Topics include where to go live, tools you need to go live (hint: Start with your smartphone — it’s easy! ), livestreaming content ideas, planning your first livestream, how to get viewers to your livestream, making the most of your live videos, and how to get over your fear of live video. Also includes a live video checklist. 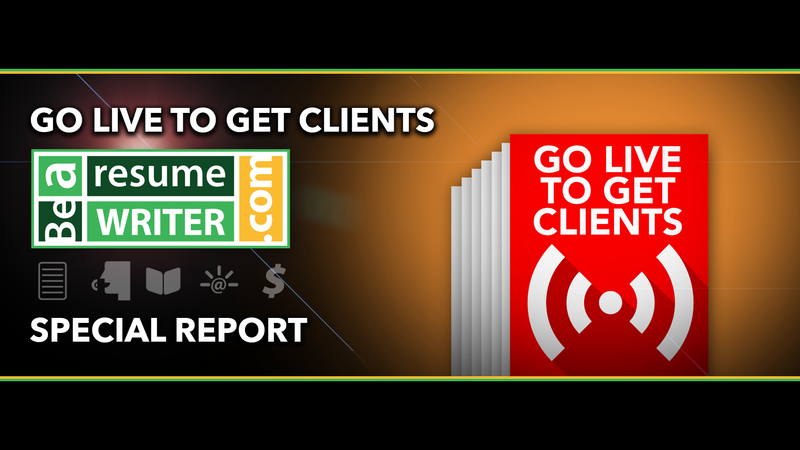 Check out our Go Live to Get Clients Special Report in our online store.